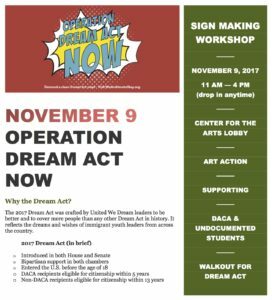 The 2017 Dream Act was crafted by United We Dream leaders to be better and to cover more people than any other Dream Act in history. It reflects the dreams and wishes of immigrant youth leaders from across the country. 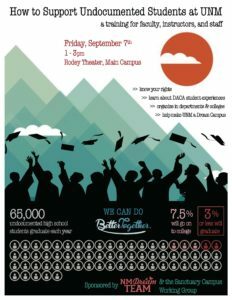 The University’s interim president says UNM will fight for its DACA students. The temporary ruling prevents the state from going ahead with controversial provisions that were to go into effect on Friday. 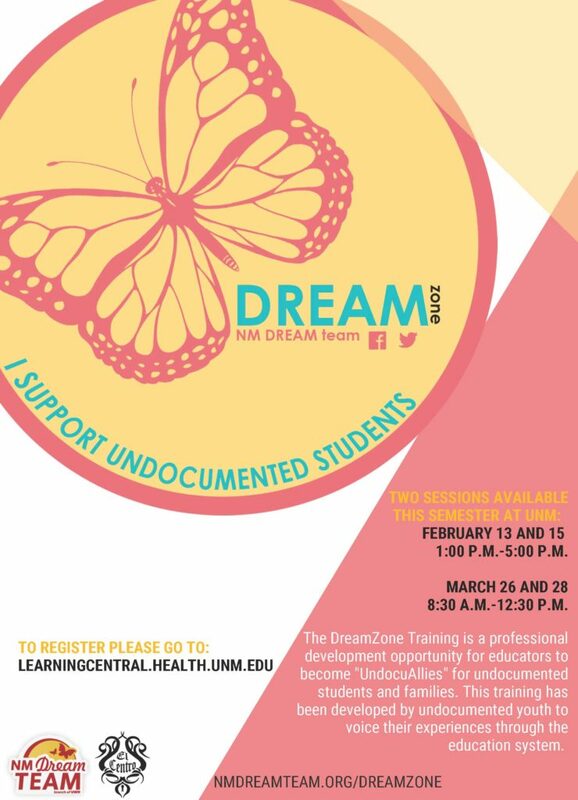 How will you support undocumented and vulnerable UNM students? 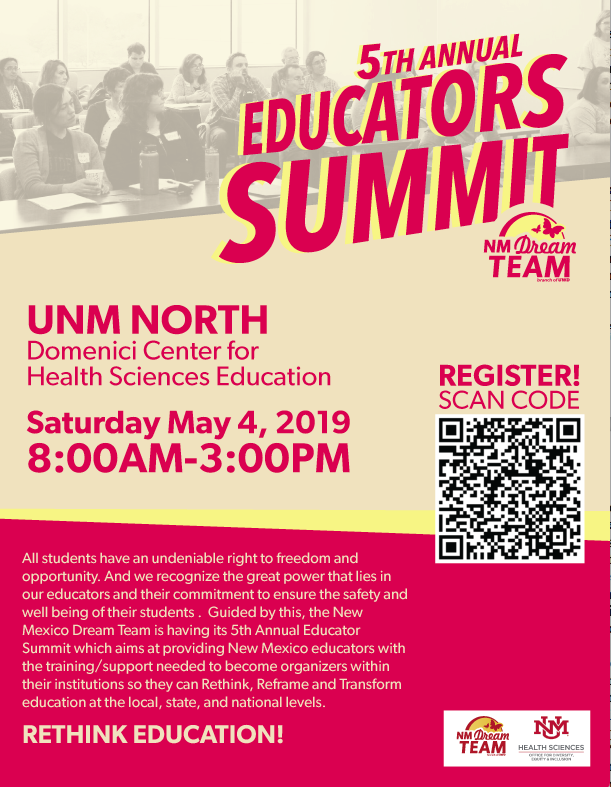 Be informed about the actions you can take to advocate for for students and make UNM a safer campus. 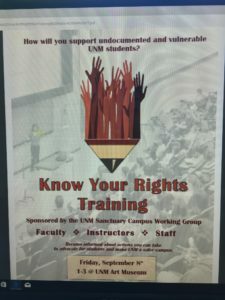 Attend the “Know Your Rights Training” on Friday, September 8th at the UNM Art Museum.